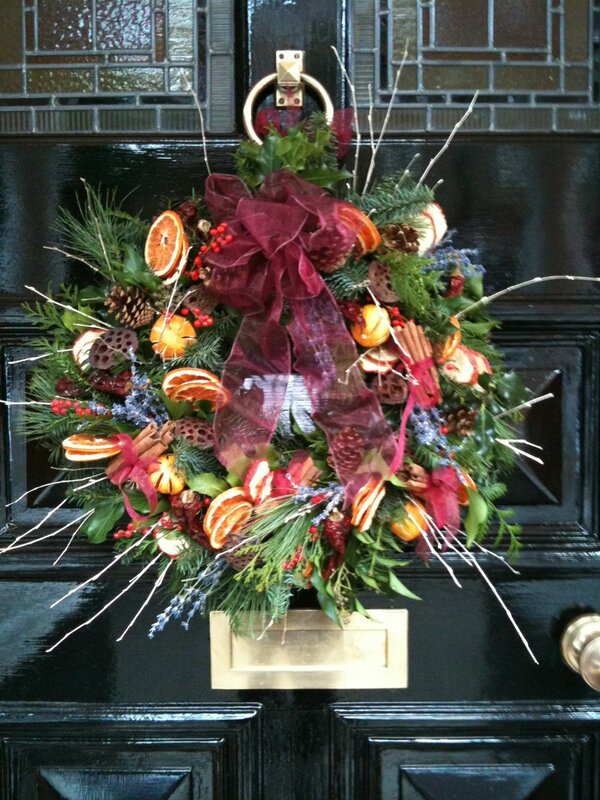 Danny Watchorn Designer Florist offers a full Christmas floristry service. We are experienced in all aspects of decorating for the festive season, whether you need a Corporate, Business or Home service. 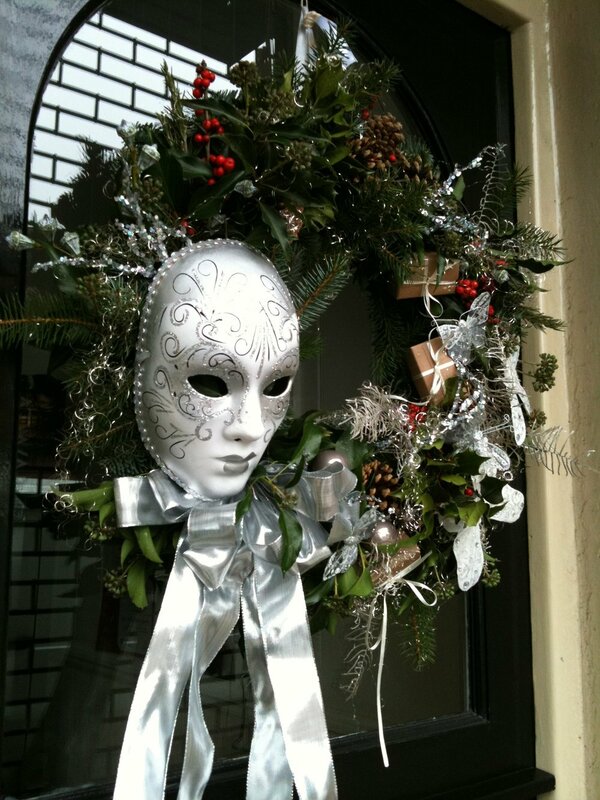 We offer work in fresh or artificial decorations and will be pleased to quote for trees, door wreaths, mantels, banisters, fireplaces, table decorations, vase and pedestal arrangements. For tree decorating, we can supply fresh trees, bases and ornaments, or we can use your own decorations. We offer a tree decorating service and will be pleased to come to your home or place of business, assemble the tree and decorate to your specification. The illustrations in this section, give some idea of the range and creativity of our floristry. We offer a free consultation service and Danny will be pleased to design for you, using flowers and foilages of your choice. Our traditional garlands are made in different lengths, to suit your stairs, fireplace, mirrors, door entrance etc. i would like this replicated please.